Mont Orford (elevation 2800’ and vertical drop 1933’). 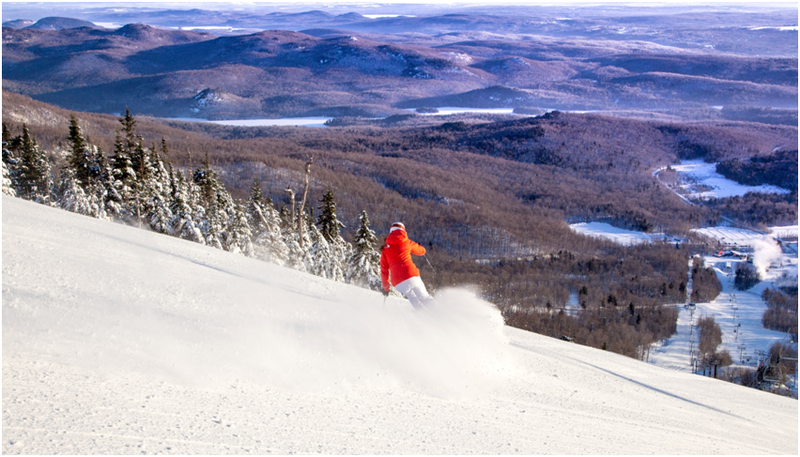 Mont Sutton (elevation 3175’, and vertical drop of 1509’) is known for its abundant powder snow and a number of runs are left ungroomed for the powder hounds. 25% Beginner, 30% Intermediate, 18% Advanced, 27% Expert!